To become a true partner to the business you must understand current and future business and customer needs. To achieve this, HR must sit at the heart of the organisation and strategically shape the way people are managed. This conference will look beyond the Ulrich model and will examine how strategic HR continues to evolve for business success. Which HR Professionals is this event designed for ? Therapy Solutions certainly know how to create happy, healthy and motivated staff. Their Ergonomic Massage has been voted “Most Valued Reward” by 96% of employees. A Tactical Reward, Employees appreciate managers have addressed the challenges they face daily such as stress and muscular aches but delivered the solution in the form of a reward! The massage is backed up by a benchmarking wellbeing survey giving measurable results. The aim of this conference is to examine how a successful partnership between HR and the business will drive organisational success and can help develop a competitive edge. The event will examine the latest strategies and will offer practical advice in developing business driven HR. Beyond HR business partners: what are the next steps? Amy is an independent HROD and development specialist, whose consulting focus is on HR functions, and what makes them most effective. Prior to working independently, Amy led the HR Capability service area for a leading HR transformation consultancy, and has conducted research on the use and value of HRBPs as part of the modern HR organisation. Amy works with groups and individuals as a facilitator and coach, and presents to learning groups and conferences on the topic of HR business partnering. Amy is experienced in designing HR services and roles, and in assessing and developing capability in critical HR roles. Her experience across several sectors and many organisations has led her to identify common factors that are crucial to success when using a business partnering model. Dave Jones has been working in the HR profession since 1996 and has held a number of generalist, business partner positions across five different sectors. Currently he works for Virgin Media in the role of Head of People and is responsible for supporting the IT, central change, network operations and engineering functions. Diane is the HR Director for UKMEA in Arup. With over 28 years experience within Human Resources, spent in a mainly generalist role across 4 different sectors; Financial Services, Retail, Manufacturing and Professional Services. The last 12 years spent in Arup have seen a journey from Senior Business Partner, to HR Sector Leader to Region Director with a firm belief that partnering with the business can deliver real organisation value. Louise's background is in academia, she has a PhD in research chemistry and previously worked in the R&D department of Johnson Matthey researching precious metal catalysis. After relocating to Havering, Louise began working for Mark and very soon realised that many of her skills were transferrable to the field of Human Resources analytics. 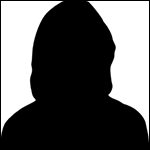 Louise is currently an Operational HR Analyst for oneSource, a unique partnership working arrangement between the London Boroughs of Havering and Newham. She is also a member of the pan London Workforce Planning Group which provides advice and guidance to all London boroughs on human capital metrics and how best they can be used in organisations. Her role includes the following: human capital data lead, examining data analysis, trend identification and report generation. Working with stakeholders providing metrics for key projects including but not limited to single status, transformation & equalities & diversity. Leading the development of reports and dashboards to meet management requests for HR info at various levels. Linda is Group HR Director for SIG. Previously she was Vice President of People for Orange UK and then Chief Change Officer at EE, the UK’s largest mobile operator, where she was successful in delivering Orange UK into the Sunday Times Best Companies and in leading the merger and integration of Orange and T-Mobile. Prior to EE, Linda was Group HR Director at international service company Serco, where she was responsible for the development of its people strategy and the implementation of a new leadership and talent management framework. Julian's role is to define and implement the people strategy across Travelex to support in particular the digital transformation of the business. He manages the portfolio of people change with a focus on talent, leadership development, employee brand and performance. He successfully implemented Workday, Peoplefluent and Cornerstone OnDemand across Travelex - providing colleagues with and end to end digital experience. The programme was recognised by winning the 2014 Nimbus Ninety award for Cloud Innovation. Julian has a passion in understanding how technology and analytics can be used to transform the employee experience to support both work life integration and the bottom line. He holds a MSc in Organisational Behaviour from Birkbeck College and has held a range of HR, IT and business transformation/change roles at Fidelity International, BT and HSBC. Nicky is responsible for the People & Premises Functions of the UK, Europe & Strategic Corporate Centre. Nicky has accountability for the full range of Human Resource service provision (Reward, Resourcing, Business Partnership, Talent Development and HR back office operations to the Group) to UK, Ireland, Germany and the Strategic Corporate Centre. In addition, Nicky has accountability for Property & Premises for Standard Life Group. Nicky is also executive sponsor of the Women’s Development Network in Standard Life, which has over 400 members. Nicky joined Standard Life from Discovery Communications, the cable media organisation where she was Vice President HR EMEA. She has extensive global experience across a variety of sectors and has held several senior human resource and line roles with Cable & Wireless, Royal Bank of Scotland and Barclaycard. Her career has been built on a strong sales, business development and retail foundation. Nicky’s aim is to help others be the best they can be in the organisations she supports and shapes, the people she leads and the leaders she influences. The values that define who Nicky is are integrity, passion, curiosity and a sense of adventure. With 22 years front line HR experience in the private and public sector, Gordon is currently an HR Business Partner for Warwickshire County Council providing a service to Warwickshire schools and academies and the Council’s Education & Learning functions. Previous roles included, HR Business Partner for Solihull Metropolitan Borough Council, HR Manager for Sandwell and West Birmingham Hospitals NHS Trust, Head of HR for Coventry Technical College, Senior HR Advisor for Rolls-Royce plc and LD & OD Officer for Nuclear Electric plc. His most important advice for you is “get even better at what you’re good at” and “really understand what makes you happy and act on it”. 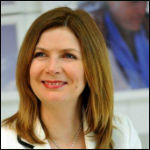 Fiona Thompson is an HR professional with over 15 years’ experience in Learning and Development. Throughout her career, she has worked across a number of sectors including Finance, Sales and Retail. For the past six years, Fiona’s worked for ATS Euromaster. During this time she’s played a pivotal role in driving forward a major cultural change programme. This has involved launching a robust Talent & Succession strategy, that’s helped turn the business around. Fiona is currently studying ‘The Psychology of Organisational Development and Change’, which she is due to complete at the end of 2015. [pricebox name="Combined offer*" description="Single place at both events - conference and training (add more in the next screen for multiple bookings)" features="
[pricebox name="Standard Rate*" description="Single place at this event (add more in the next screen for multiple bookings)" features="
[pricebox name="Presentations Only" description="Can't make the event? Purchase a downloadable pdf of the slide presentations" features="
*Please note these prices are for in house HR practitioners. Suppliers who are interested in attending should contact Tony Okbani on 020 7231 5100 for more information.